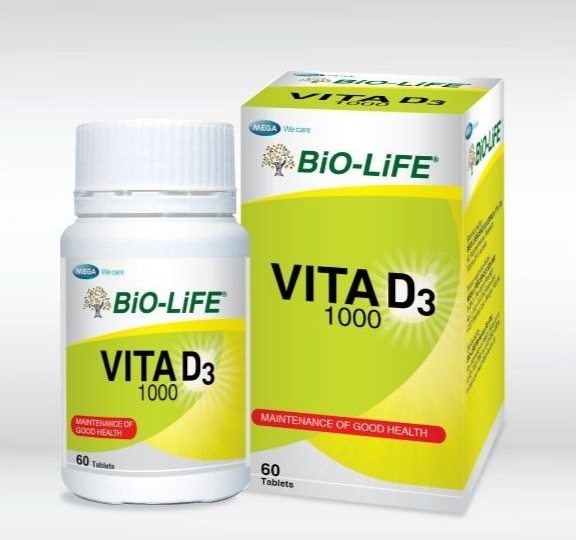 BiO-LiFE® Vitamin D3 1000IU is derived from 1mg cholecalciferol. It provides a convenient way to obtain 1000IU of vitamin D3 per day. It is indicated for the maintenance of good health. BiO-LiFE® Vitamin D3 1000IU contains no added sugars and yeast, milk derivatives, wheat or corn starch, gluten, preservatives, artificial colours and flavors. Individual who suffers from vitamin D deficiency. A leader in natural healthcare & holistic therapies. BiO-LiFE name represents a range of nutritional supplements & herbal remedies based on scientific evidence & built on a strong foundation of QUALITY • SAFETY • EFFICACY. Working closely with nature, BiO-LiFE's products are specially formulated to meet the needs and expectations of today's modern lifestyle.